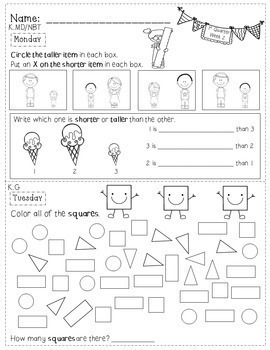 This Kindergarten Math Homework - Kindergarten - 1st Quarter is a great weekly homework packet that will review all common core strands on a weekly basis. 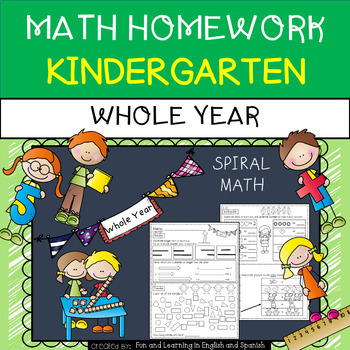 It's great for spiral review, too:)It is very kid-friendly, easy to read, examples are given for most problems, and it's packed with real work.. 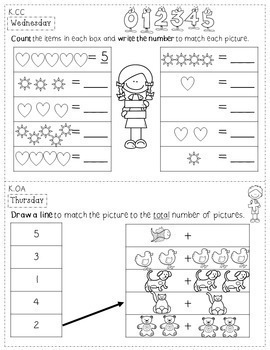 This Kindergarten Math Homework - Kindergarten - 2nd Quarter is a great weekly homework packet that will review all common core strands on a weekly basis. It's great for spiral review, too:)It is very kid-friendly, easy to read, examples are given for most problems, and it's packed with real work. 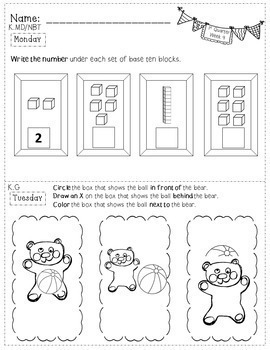 This Kindergarten Math Homework - Kindergarten - 3rd Quarter is a great weekly homework packet that will review all common core strands on a weekly basis. It's great for spiral review, too:)It is very kid-friendly, easy to read, examples are given for most problems, and it's packed with real work. It is very kid-friendly, easy to read, examples are given for most problems, and it's packed with real work...not just time-wasting work. It has cute graphics, so it's fun for the kids to work on. Need only the Whole year bundle of math homework in Spanish? I'm always working on fun stuff and freebies, so please click the green star at the top of the page (by my name) to follow my store so that you can be notified when new resources and freebies are available. Please also remember to leave me some feedback since that's how I know how to please my customers:) You can complete the feedback form on your "my purchases" page....and extra bonus - you earn points to make your next purchase cheaper just by completing the feedback form! yeay!! !